On last night's episode of Rocco's Dinner Party, caterer Vicki Ferentinos was able to take down experienced chef (and food truck owner) Chris Thompson. He thought he had the competition in the bag but Vicki proved to be worth competitor, with strong dishes such as a deconstructed Cuban sandwich and carrot ginger soup with coconut shrimp. Today, we talked to Vicki in an exclusive interview to learn more about her win at Rocco's Dinner Party. This week on Rocco's Dinner Party, the chefs were asked to prepare a fashion-themed event for his guests. 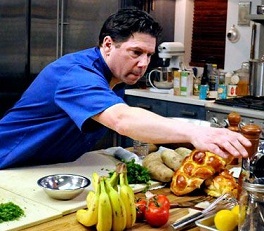 Executive private chef Frank Otte went up against caterer Sharon Robustelli and it was clear that Frank's years of experience were going to pay off. He left the loft $20,000 richer and we caught up with him in an exclusive interview today to find out more about his experience on Rocco's Dinner Party. 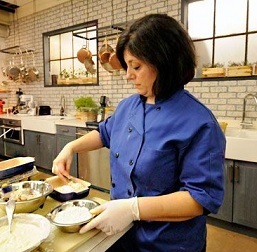 Q. Gina, RealityWanted: What sparked your interest in cooking? This week, Rocco threw a dinner party with a gastropub theme, which means taking traditional British ingredients and taking them to a whole new level. Executive chef Kevin Gaudreau impressed not only with his food, but his ambiance for Rocco's guests as well. 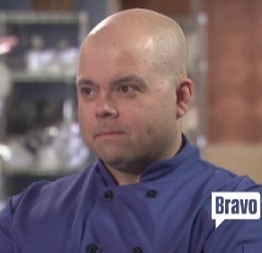 Today, we talked to this week's winner in an exclusive interview about his experiences cooking on Rocco's Dinner Party. 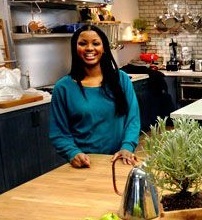 Q. Gina, RealityWanted: When did you first start cooking? 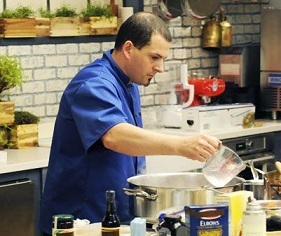 Last night on Rocco's Dinner Party, airline chef Corey Roberts walked out of the loft with the win and $20,000. Just about everything he served was an absolute hit with Rocco's guests and he showed us that airline food can be sophisticated and flavorful. Today, we talked to Corey in an exclusive interview about his time on Rocco's Dinner Party. Q. Gina, RealityWanted: Can you tell us a little bit about your cooking background?